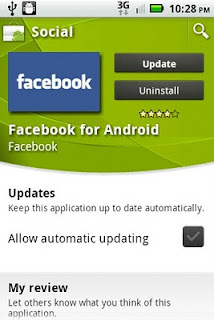 The Facebook client for smartphones running Google's Android operating system got pushed up to version 1.5.2 today. New photo features have been included in the latest build allowing you to upload photos to your friend's walls and groups. 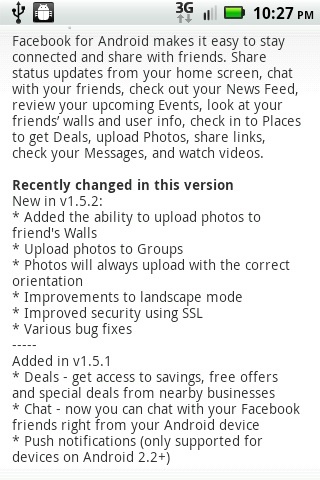 Improvements to landscape mode and security are always welcome. Ready to update your Droid? 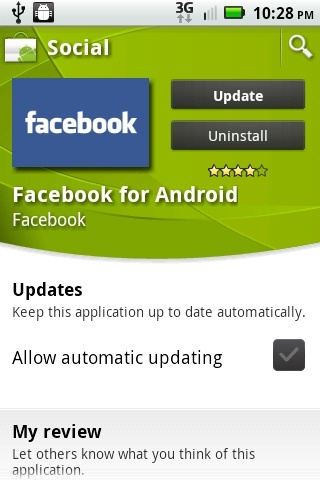 Tap the Android Market icon on your device to get the update, which is available now.